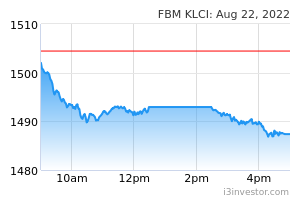 The FBM KLCI formed a bullish harami candle to recover some of its previous session’s sell-down as the key index closed at around the 1,671.28 level yesterday. The MACD Histogram has turned green, while the RSI remains in the oversold level. Resistance will be pegged around the 1,680-1,700 levels. Support will be set around the 1,660 level. 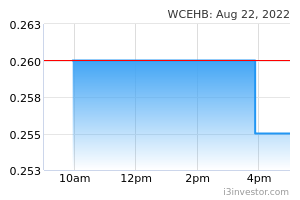 WCEHB has gapped-up to close above the EMA60 level with high volumes. The MACD Indicator has issued a BUY Signal, while the RSI has risen above 50. Price may stage further recovery, targeting the RM0.605 and RM0.65 levels. Support will be pegged around the RM0.52 level. 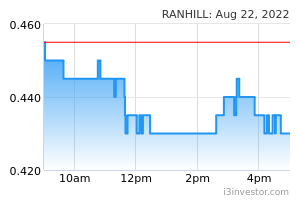 RANHILL has formed a breakout-pullback-continuation pattern to close above the EMA9 level with improved volumes. The MACD Histogram has turned green, while the RSI has recovered from oversold. Price may advance towards the RM1.52-RM1.60 levels. Support will be anchored around the RM1.23 level. 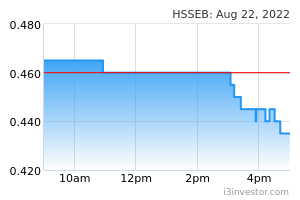 HSSEB has experienced a short-term consolidation breakout above the RM1.14 level with rising volumes. The MACD Histogram has turned green, while the RSI remains above 50. Price target will be envisaged around the RM1.26 and RM1.37 levels. Support will be set around the RM1.06 level.